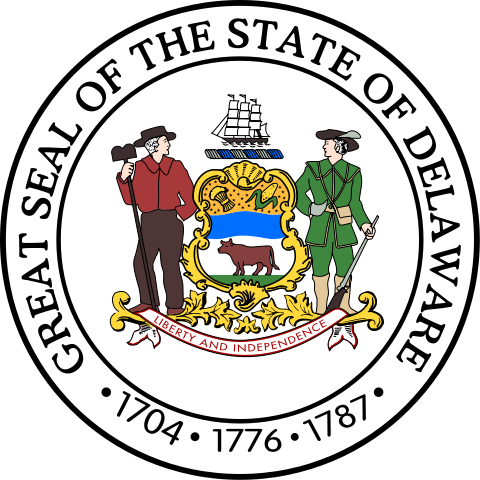 Size of this PNG preview of this SVG file: 349 × 349 pixels. Other resolutions: 240 × 240 pixels | 480 × 480 pixels | 600 × 600 pixels | 768 × 768 pixels | 1,024 × 1,024 pixels. 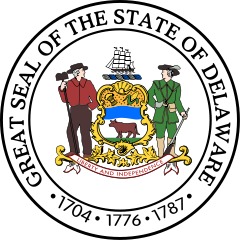 Source Self-made, center image extracted from Delaware flag, and altered to fit the seal.